The 2019 Isle of Man TT fuelled by Monster Energy was launched last night in the Villa Marina, Douglas with a host of top competitors amongst the guests in the chat show fronted by Matt Roberts and Steve Plater, with the seeded riders' start numbers confirmed. TT legends John McGuinness and Ian Hutchinson return to do battle with the outright lap record holder Peter Hickman, Dean Harrison and Michael Dunlop, who have all confirmed their entry. Hickman returns with the Smiths BMW team and it is also expected that he will line up in the Lightweight TT on the all new Supertwin Norton. He starts the main races from his favoured number 10 position and will have a few quick riders ahead of him on the road to negotiate. McGuinness and Hutchinson make a full-scale return to action after injuries, and 23-times winner McGuinness' bid on the Norton V4 Superbike is eagerly awaited. He was restricted to parade laps last year and it will be interesting to see how he fares on his competitive debut on the Island for the famous marque after his successful years with Honda. Hutchinson was well off his blistering pace on the Honda last year and returns to the TT with an eye on being a front runner again. McGuinness starts at number three with Hutchy 10 seconds behind him at four. Dunlop's return to the Mountain Circuit, where he was a triple winner last year (Superbike, Supersport and Lightweight), is eagerly awaited and he starts at his usual number six. He will be Tyco BMW's sole runner in Superbike, while running under his own MD Racing banner in Superstock and Supersport on BMW and Yamaha in these classes. Michael also helped leading helmet manufacturer Arai launch their latest addition to their collection yesterday designed to pay tribute to the TT Races. Conor Cummins will lead the races away from the number one spot on Padgetts Hondas, while Dean Harrison (Silicone Engineering Kawasaki) moves up to start number two after last year's disappointment of breaking down when leading the Superbike TT and losing out to Hickman on the final lap of the Senior TT. The rest of the top 10 seeded riders in the three 1000cc races are TT winners in their own right with James Hillier starting at number five, Gary Johnson number seven and Michael Rutter at number nine. New Honda recruit David Johnson heads off at number nine and Lee Johnston on the Ashcourt Racing BMWs at his usual number 13. 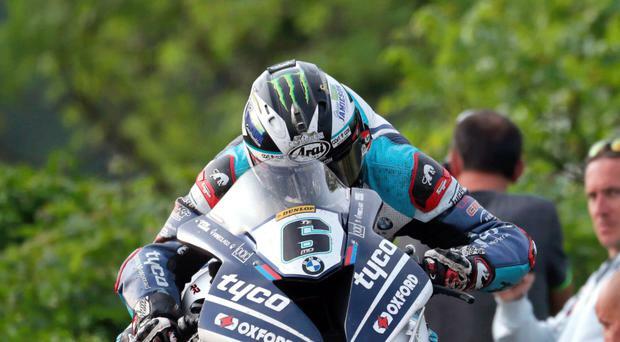 TT 2019 will boast nine former winners with a staggering total of 80 victories and 195 podium finishes between them. Last year's Newcomers and TT Privateers Trophy winner and RST Star of Tomorrow Davey Todd has been confirmed for the Padgetts Milenco Supersport TT campaign. Todd rides for the Penz13.com team in the 1000cc races on BMWs. Ryan Farquhar's KMR Kawasaki team launch a four leading rider attack on the Lightweight TT, with last year's runner-up Derek McGee returning and joined by 2017 race winner Rutter, Gary Johnson and Lee Johnston. Farquhar said: "The TT remains the biggest test for any team in road racing and the Lightweight class is getting tougher and tougher with a number of new brands and teams coming into it. "All four of our riders have the ability to win and we will give them everything we have to give them the best possible chance."